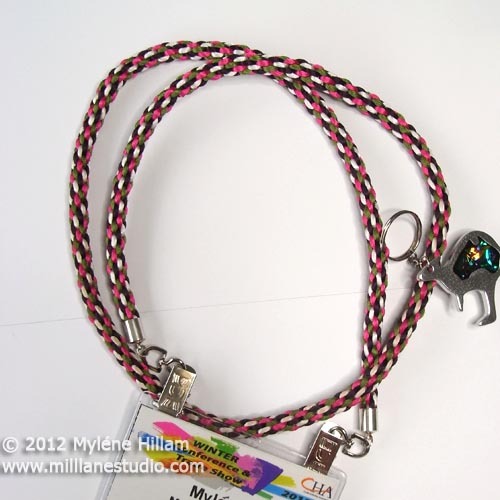 I am so excited..... All Free Jewelry Making has just announced it's top 100 most popular jewellery designs for 2012 and my Kumihimo bracelet tutorial was on that list! You can see the project here with complete step-by-step photos and instructions. Making Kumihimo braids is a really easy technique to learn and something that even children can master. There are a lot of different uses for the braids: I made an extra long one and used it as my lanyard at CHA last week and it received so many admiring comments - it always surprises me when something so simple catches people's eye! It makes great necklaces and with the addition of a wonderful focal bead it can easily be given the Wow factor. It also makes a great keyring chain. 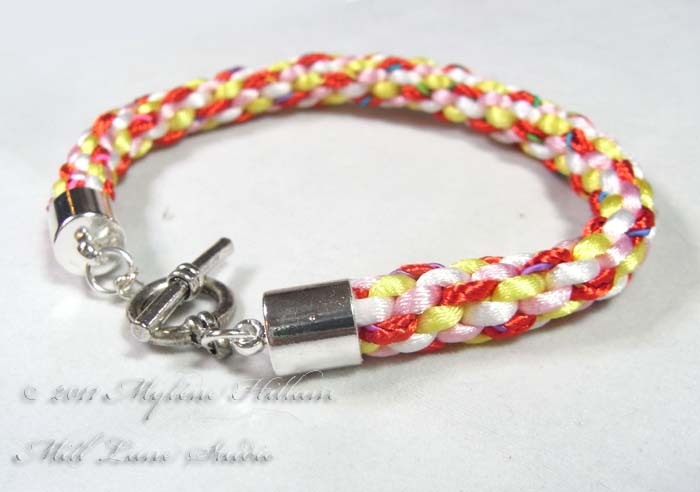 And you are not restricted to using rat-tail; you can use a variety of different cords and fibres to make the braid. So pop on over to All Free Jewelry Making to see all 100 of the most popular designs here. They're split into categories to make it easy for you to find just the right tutorial or pattern you're interested in.